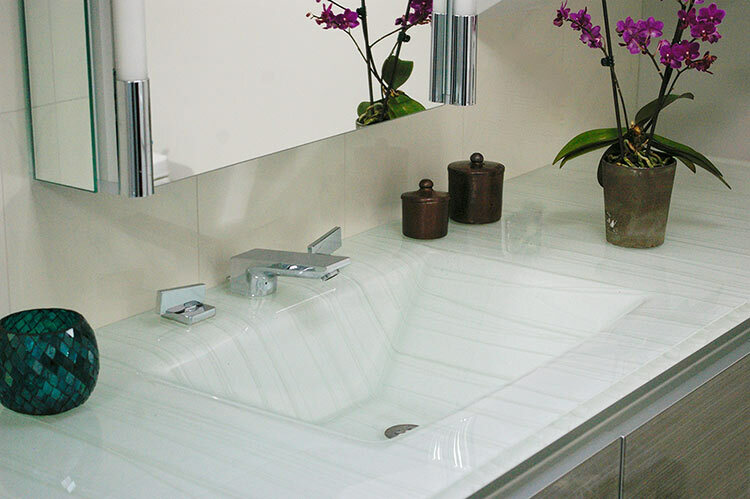 A pale green 1 ¼” thick vanity top with integrated sink is both reflective and transparent. 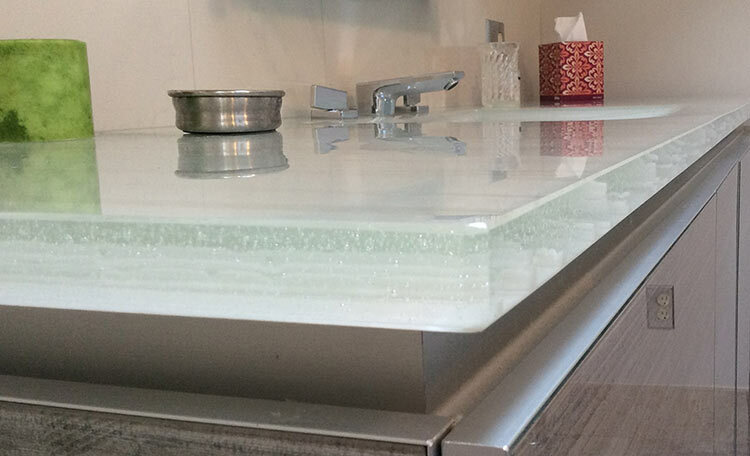 The stripes are a powdered glass fused between hand-cut sections of clear. 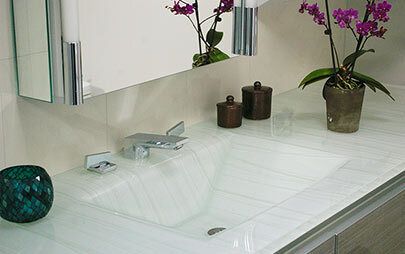 Together with the shadows made by the stripes, a deep rich effect is produced. 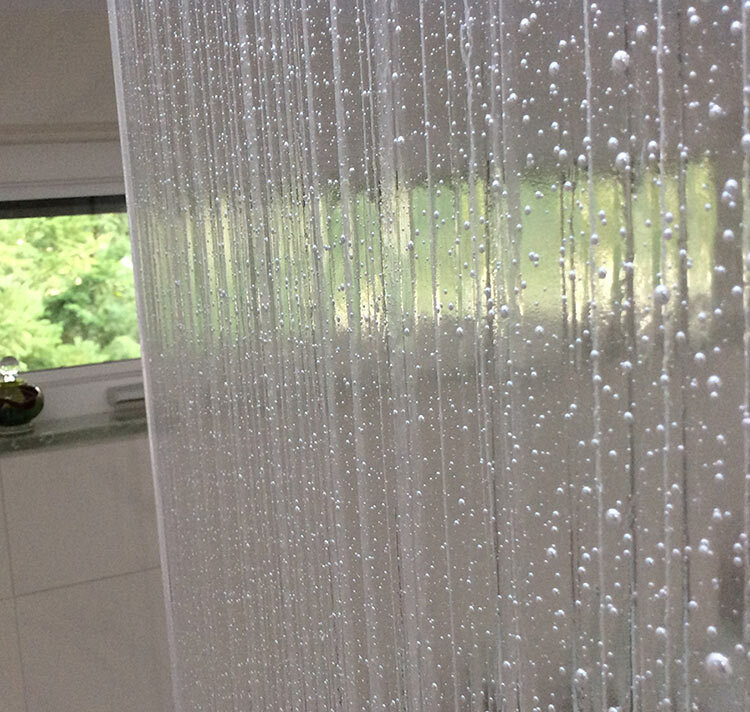 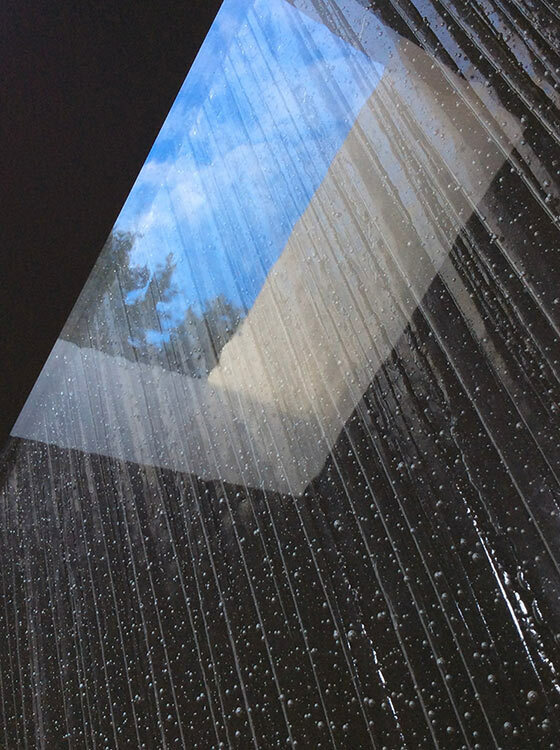 Trapping air bubbles between layers of clear glass provides the illusion of rain falling through the skylight in this shower wall. 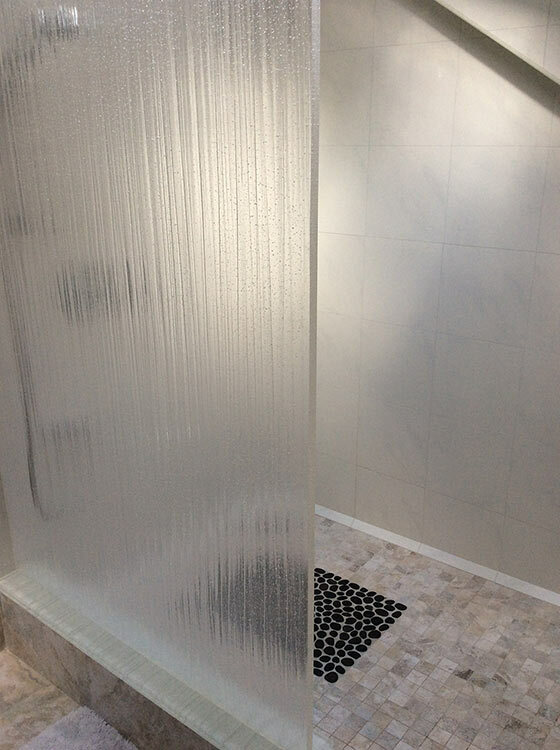 The laminated enclosure has an accordion texture on the outside and is smooth inside for easy cleaning.